A leading supplier of washing applications in the scientific and healthcare community, uses Verderflex's peristaltic pumps to disinfect a variety of medical and laboratory equipment. Because a peristaltic pump keeps the pump media entirely within the tube there is no chance of cross contamination making the pump the hygienic choice for pharmaceutical applications. 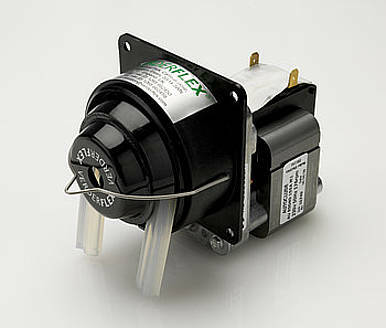 The wide range of chemical resistant tubing available also makes the Verderflex OEM pump a safe and reliable choice. The quick release clips available on the M2000 make tube changeover quick and simple, no special tools are needed, keeping maintenance time to a minimum.